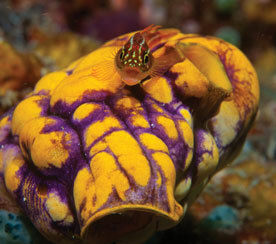 Prof. John Pandolfi, School of Biological Sciences, and Centre for Marine Science, University of Queensland. Abstract: Most records of the long-term ecological history of coral reefs are confined to the past few decades, long after degradation of such habitats first emerged. Prior results of ecological degradation associated with European colonization at sites in the Palm Islands and Moreton Bay led to a comprehensive palaeoecological study of inner reefs of the Great Barrier Reef extending from the Cape York Peninsula to Hervey Bay. Sediment coring coupled with U-series radiometric age dating allowed reconstruction of the ecological history of reef communities over the past few thousand years. Combined records from cores, death assemblages, and recent monitoring of life assemblages resulted in exceptional ecological and temporal precision from past reefs through to their living counterparts in a continuous time series. We found spatial variability at multiple scales in the response of coral reef communities to both natural environmental (climate) change prior to European colonization and after, when land use changes resulted in degraded water quality. Northern sites from Cairns to the Palm Islands were the most heavily impacted since European colonization, whereas sites further south in the Keppel Islands and further north along Cape York were less impacted. At impacted sites, historical community composition differs markedly from that derived from present-day and decadal-scale monitoring surveys. The timing of reef coral community degradation argues against climate change as a major driver and focuses attention on water quality as an agent for limiting coral recruitment that is crucial for recovery from natural and anthropogenic disturbance. To avoid basing decisions on a much shifted ecological baseline, GBR managers need to consider the long term history of individual reefs in determining drivers of change, in deciding appropriate strategies for re-invigorating living reefs, and in measuring the success of specific management objectives. 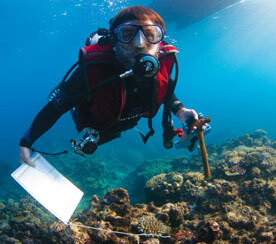 Biography: John is a Program Leader in the ARC Centre of Excellence for Coral Reef Studies, and is a Professor in the School of Biological Sciences, and Centre for Marine Science, University of Queensland. He has broad research interests in ecology and marine palaeoecology, with emphasis on the effects of anthropogenic impacts and climate change on the recent past history of modern coral reefs. He has published over 125 scientific articles in leading international journals. John currently holds an ARC Discovery Outstanding Researcher Award (DORA).